THE SHAPE OF WATER set up is highly character driven. A mute Hispanic woman janitor, her Black woman colleague suffering a bad marriage, a gay unemployed artist, and a Sadist walk into a Cold War bunker. It could have been the beginning of a bad joke. Instead, it is the start of an amazing work of postmodern surrealist film. If we consider surrealism, as Andre Breton suggests, to be an attempt to reconcile the simultaneous existence of the awake and sleep states—THE SHAPE OF WATER is a poster child for that movement. The phenomenon applies to characters as well as the movie’s viewers. 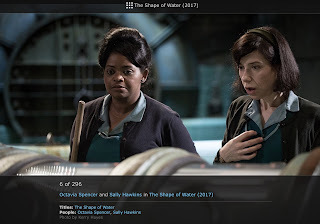 Visually, THE SHAPE OF WATER contrasts a hypnogogic state with harsh reality. Scenes are often in a gritty nightmarish Cold War industrial military bunker. In the bunker dangerous ‘isms’ compete for ranking—fascism, racism, sexism, and classism are all at play. A visually serene fantasy world exist beyond the bunker’s locked doors. It is a place where old Hollywood musical choreographies hold key product placement territory. Anything can happen and does. Those entitled to hatred by persecution for any number of reasons, choose love instead. The relationships between the living beings in that outer realm defy all the conventions of the time, history, environment and evolution. There is one exception, the convention of ‘Villain’ has no wiggle room for alteration. He is just an unadulterated evil. The theatrical ensemble is remarkable—Sally Hawkins, Michael Shannon, Richard Jenkins, Octavia Spencer, Michael Stuhlbarg, and Dough Jones are among them. There is not much else to say other than be prepared to watch the awards roll in. THE SHAPE OF WATER feels like a sequel to Del Toro’s earlier film, PAN’S LABYRINTH. But, there are differences. While the current work is a cross genre piece which traverses cultures, the earlier movie is culture locked. PAN, and the girl for whom he provided escape, lived in the confines of the rise of Francoists. The politic is physicalized by an archaic estate operated by the girl’s fascist stepfather. 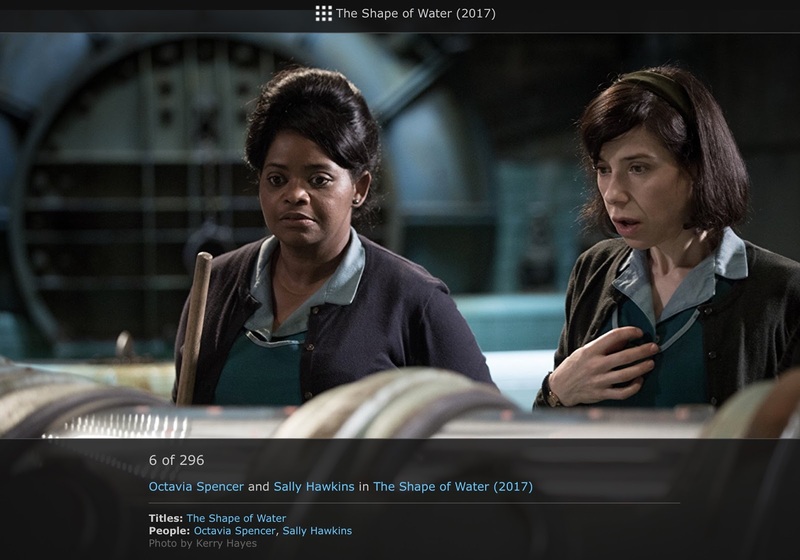 THE SHAPE OF WATER set realizes many different types of signifying characters from multiple cultural and economic backgrounds. The time period is the USA Cold War. In both THE SHAPE OF WATER, and PAN’S LABYRINTH, the “monsters” are supposedly human, but it is they who actually give monsters a bad name. Why is the SHAPE OF WATER not just another “Beauty and the Beast” but worthy of bioethical consideration? This is not a medical movie though it is a scathing rebuke of the forces that thwart good science. At stake in the SHAPE OF WATER is the personhood of all the characters in our previously depicted Cold War bar joke. Dignity, a state of the healthy intelligent mind, is carried about by the body. Abuse the body, abuse the dignity. Malign the body, malign the dignity. Remove the dignity, remove the personhood. By this reasoning, restoration of dignity in large part means protection of the body from torture and other forms of abuse. That protection is requisite, though not always sufficient for the reclamation of personhood. One never knows what is most effective until one tries. It is the organized beneficence of trying to ‘do good,’ tempered by autonomy, in order to render equipoise and justice, which ought to be delivered by bioethical consideration. This film helps explore the aforementioned cascade. In Del Toro’s hands, the ominous danger and political distrust manifest in science fiction shifts toward fantasy. The mystery, myth and truth escape of those most vulnerable to the abuse of dignity, because of their bodies, is fully manifest in The SHAPE OF WATER. The process of the film dissolves disability into strength. In the tradition of super heroes, Del Toro’s SHAPE OF WATER sheds the horn-rimmed glasses and neck ties of its characters so they leap, fly or swim into their own made magic. THE SHAPE OF WATER is technically exquisite. This film is one to watch on as large a screen as you can afford.